In the past few years it has been particularly difficult to generate transgenic mouse models using heterologous as well as homologous promoters to drive the expression of the AR with an expanded polyQ stretch. The mice generated showed neither neurological symptoms nor other overt pathology (Bingham etal. 1995; LaSpada etal. 1998). Recently Abel et al. 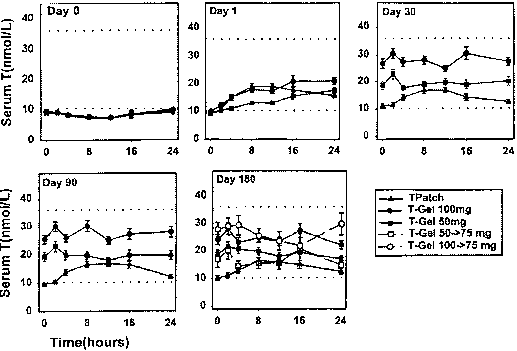 (2001) generated transgenic mice in which a truncated AR was used encompassing a longer polyQ stretch. AR expression was driven by the use of different promoters such as the neurofilament light chain promoter and the prion protein promoter. The neurological phenotypes developed were dependent on the promoters used and on the expression levels and pattern of the distinct promoters. When the expression of the mutated AR transgene was limited through the use of the neurofilament light chain promoter, the mice developed a phenotype confined to the motor system. There were, however, upper motor neuron manifestations in addition to lower motor neuron disease which is inconsistent with the clinical data of SBMA patients. Furthermore, none of the transgenic mice in the study showed motor loss or muscular atrophy (Abel etal. 2001). In another approach, Adachi etal. (2001) generated mice with an expanded CAG repeat stretch controlled by the AR promoter. These mice developed progressive neurologic phenotypes of muscular weakness and ataxia but not neuronal cell death, as reported in SBMA. A model closely resembling the human phenotype was established in transgenic mice having a 120 CAG repeat insertion in the AR under the control of a cytomegalovirus promoter. These mice displayed behavioral and motor dysfunction, progressive muscle weakness and atrophy with the loss of alpha motor neurons in the spinal cord. The male mice displayed a progressive reduction of sperm production consistent with testis defects reported in human patients (McManamny et al. 2002). These mice represent clinically relevant models of SBMA for the study of the pathogenesis of the disorder and for testing potential therapeutics. In addition to mouse models, a Drosophila model of SBMA has also been established. This is based on the use of the Drosophila melanogaster Gal 4-UAS system to target expression of the mutant AR into distinct tissues. This system was used to target AR with different polyglutamine stretch amplifications into the photore-ceptor neurons and accessory pigment cells in the developing eye disc under the control of the glass multimer reporter gene promoter. These transgenic flies showed a ligand-dependent depigmentation anddegeneration of the Drosophila compound eye dependent on the size of the polyQ stretch amplification (Takeyama etal. 2002). Both the mouse and Drosophila models of SBMA have shown that the development of the disorder is strictly dependent on androgens (Katsuno et al. 2002; Takeyama et al. 2002). In the mouse models, the phenotype was markedly pronounced in male transgenics and drastically reduced by castration (Katsuno et al. 2002; 2003). Treatment with leuprorelin, a GnRH agonist that reduces testosterone release from the testis, rescued motor function. Moreover, leuprorelin treatment reversed the behavioral and histopathological phenotype that are caused by the increase in serum testosterone level (Katsuno etal. 2003). It is thought that castration and the use of GnRH agonists exert their effect through nuclear exclusion of the AR. Intriguingly, the use of antiandrogens such as flutamide, hydroxyflutamide and bicalutamide produced the opposite effect in both mice and Drosophila models of SBMA. Rather than the expected antagonism of AR action, these ligands yielded no therapeutic effect but even aggravated the symptoms in some instances (Katsuno etal. 2003; Takeyama etal. 2002).